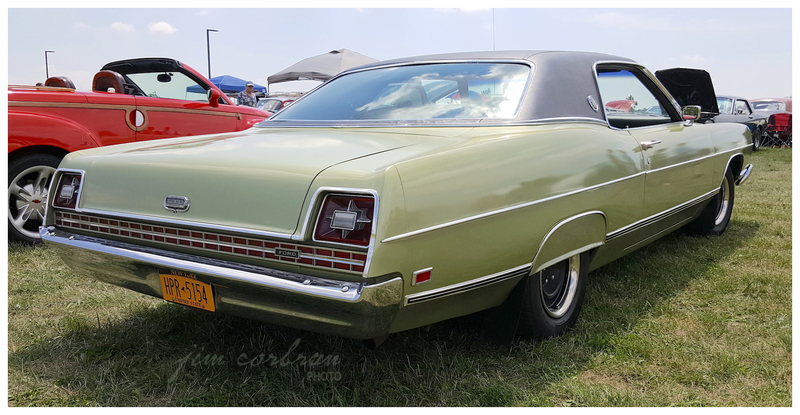 Lime Gold was a pretty popular color back when this1969 Ford LTD left the factory. Although it’s doubtful that those fender skirts came from Dearborn, I’m not surprised to see them, as the LTD’s major competitors, the Chevy Caprice and the Plymouth VIP, both show them in their available equipment lists. Vinyl tops were still pretty much in vogue back in 1969, and it’s the rare LTD that didn’t leave the factory with the spiffy roof covering in one of six colors. This example was seen last Saturday at the Rumble at the Niagara Car & Bike Show, which went on while the Thunder on the Niagara Hydroplane Boat Races took place in the background at North Tonawanda’s Gratwick Park. The loudness of the boats was rivaled only by the loudness of some of the old car colors, lol.